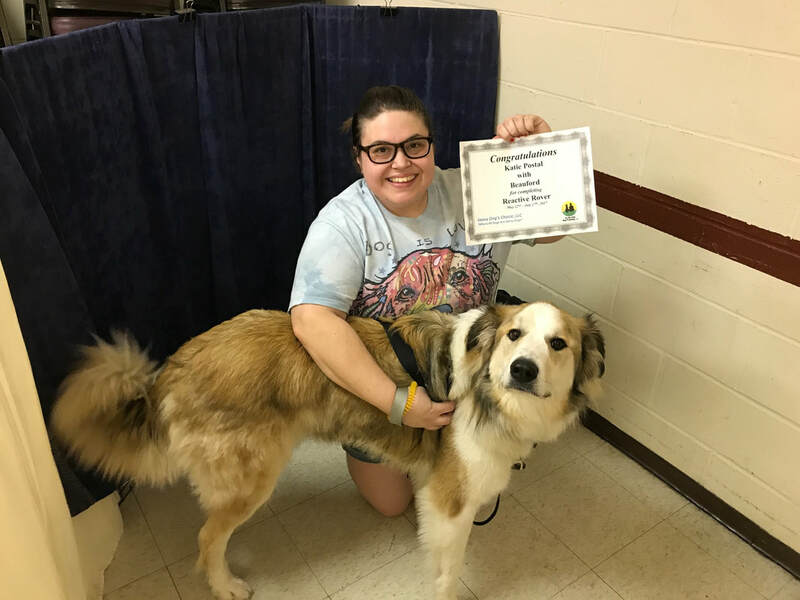 Client (Private Training) - Becky M.
​"Bill did an exceptional job with our Great Pyr Walter. He is a rescue dog with very challenging behaviors but a huge heart. Bill taught us as much as he taught Walter. I can honestly say our private training with Bill was so impactful, and Walter has come a very long way. I know I can always reach out to Bill if any issues arise in the future. Our family will be forever grateful for Bill's patience and expertise." Client (Private Training) - Jesse K.
"Thank you so much, Bill! We couldn't have made this progress without you. If we need more help, you'll be the first person I call." 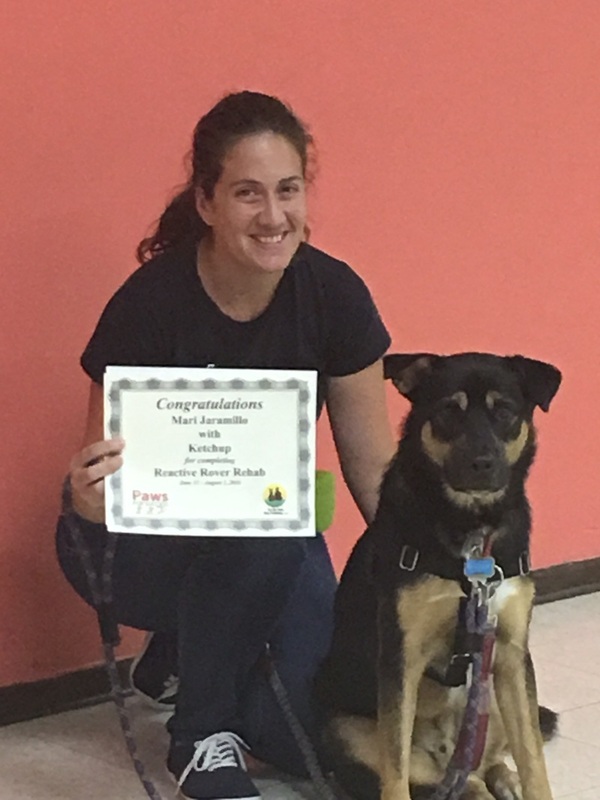 Client (Reactive Rover) - Samantha M.
"This class was extremely helpful in educating not only my dog, but also me, about how to react in intense situations. 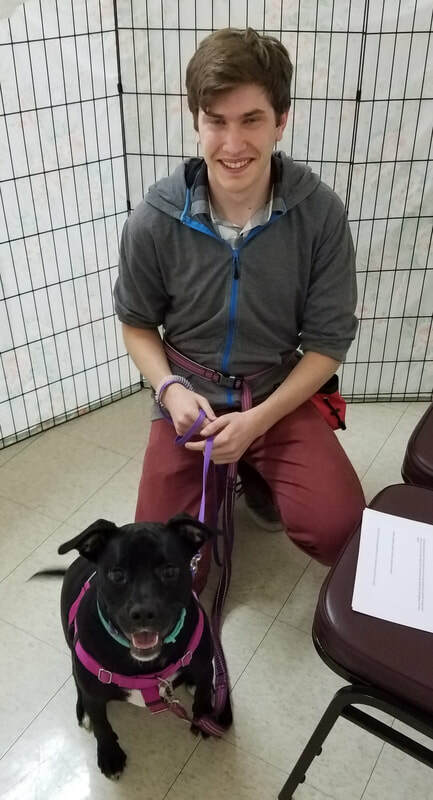 I think we will both have a more enjoyable life thanks to reactive rover!" 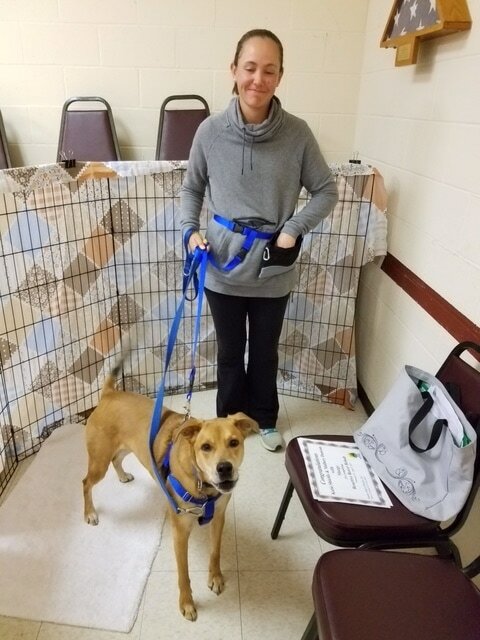 Client (Reactive Rover) - Chris S.
"Duke and I experienced instant positive results after the first class. The lessons learned definitely helped in his day-to-day activities." Client (Private Training) - Stephanie & Aaron B. "Bill was wonderful in providing set skills for us to practice to reinforce positive interactions and behavior. 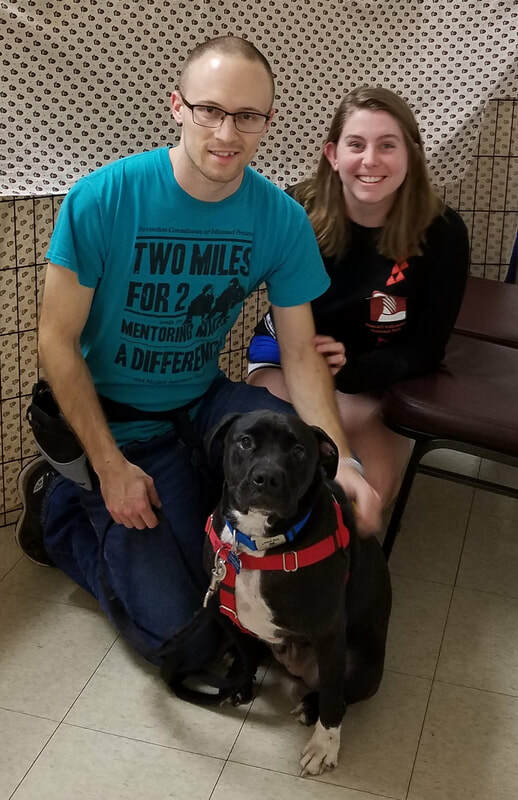 He also helped us learn how to read our dog better and understand his body language. 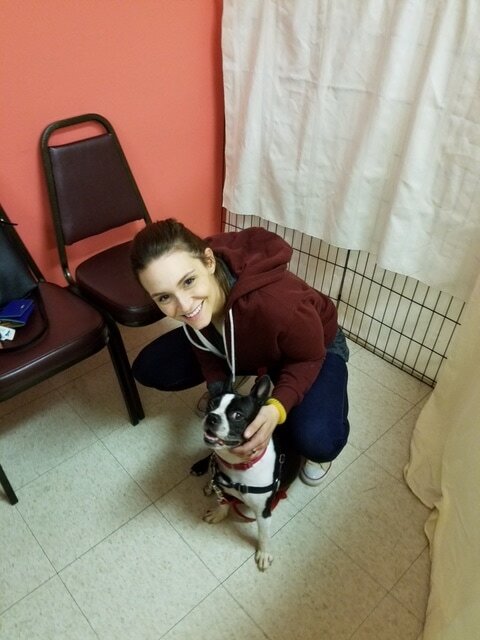 We can’t thank him enough!​"
Client (Reactive Rover) - Steph K.
"This class has given me more confidence with Honey in knowing how to handle triggers & knowing her limits. 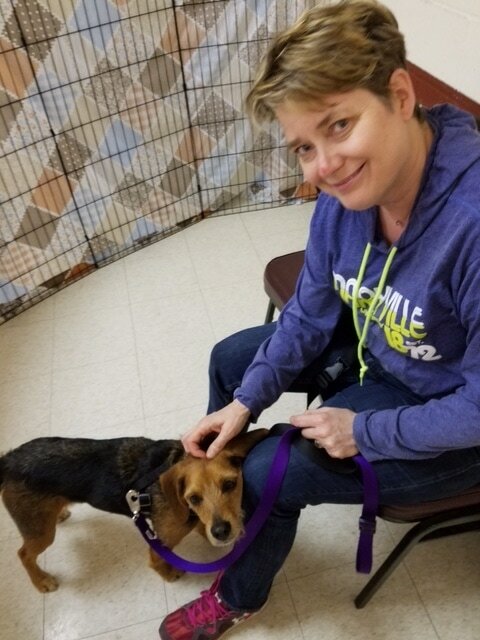 Honey has more confidence & seems happier." 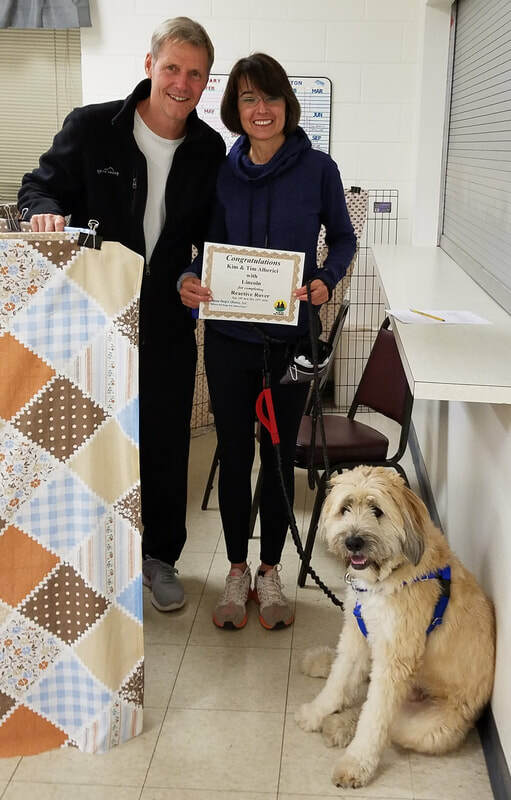 Client (Private Training) - Randy R.
"Bill did a great job with our two dogs Winnie and Scamp. 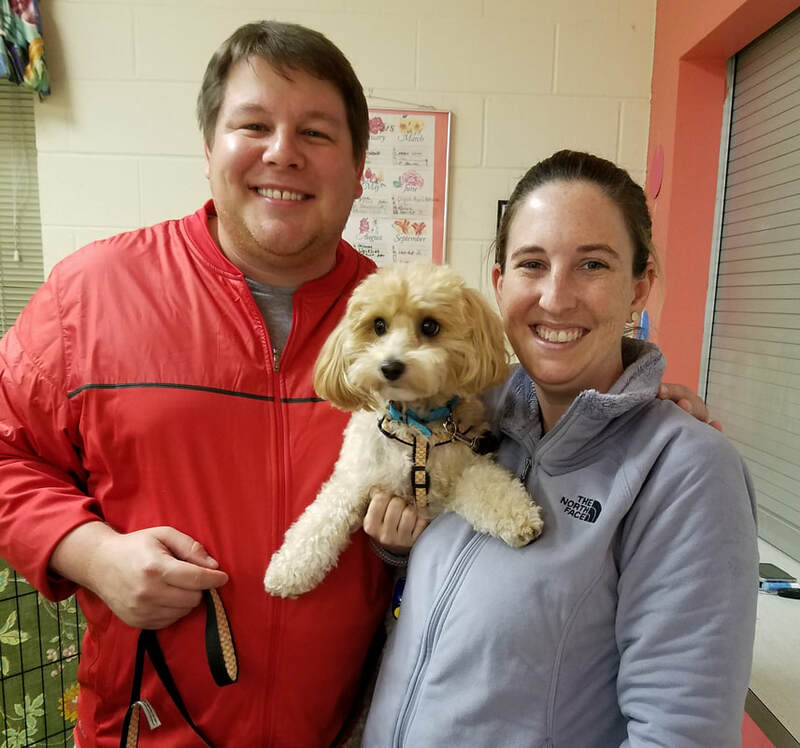 As a professional dog walker, I really appreciated Bill's insights and training methods." 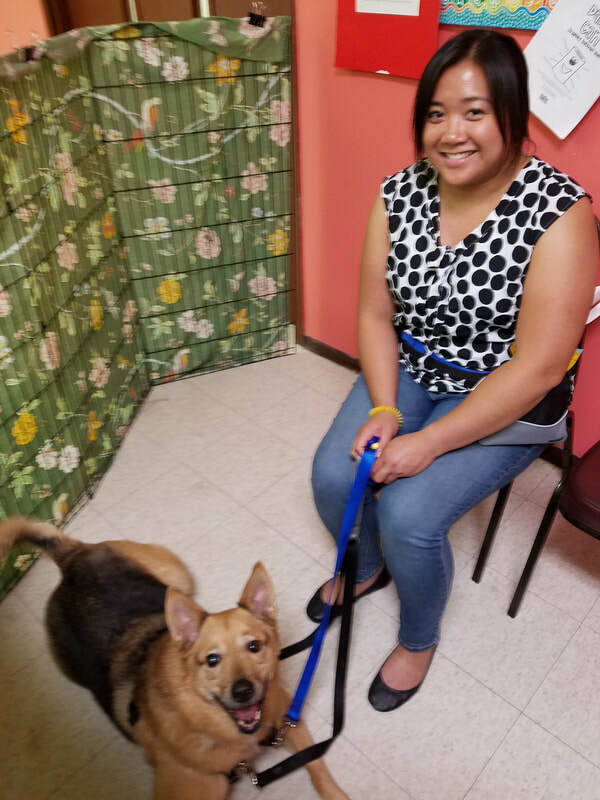 Client (Reactive Rover) - Jennifer F.
"Thank you guys so much! The amount of personal attention / coaching was fabulous." 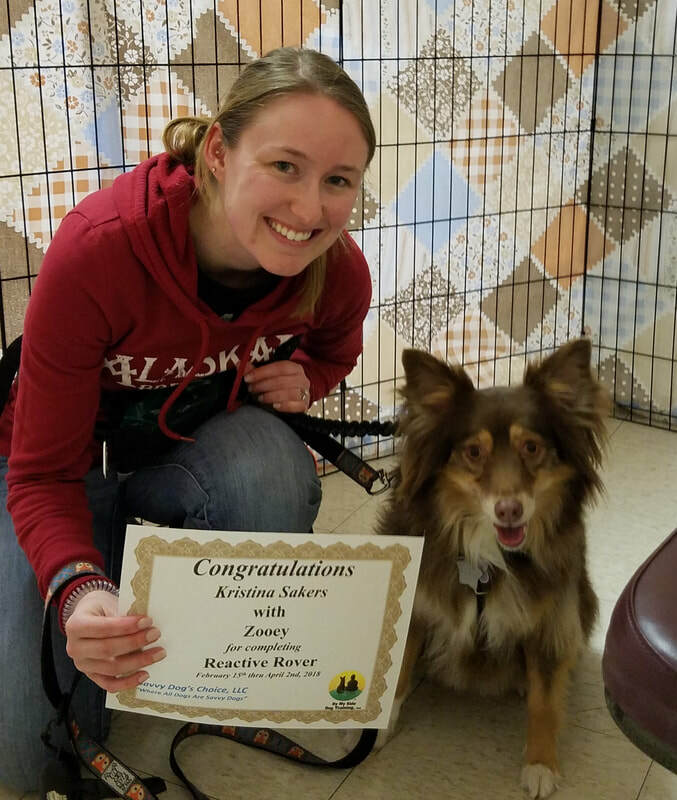 Client (Reactive Rover) - Kat W.
"Very structured & safe environment for our dog to become more comfortable interacting with other dogs!" 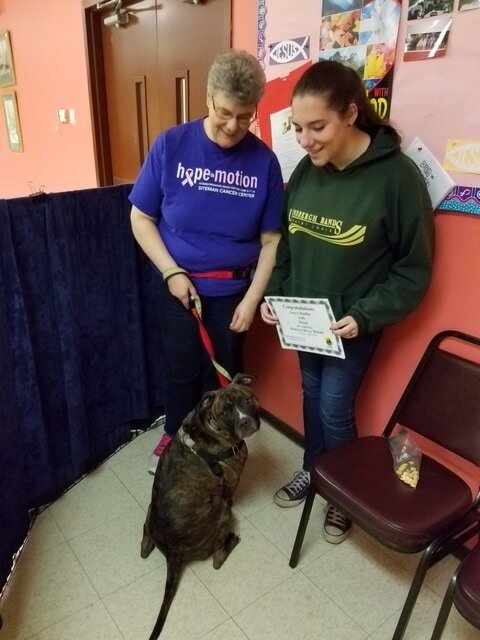 "Our family appreciated and enjoyed the opportunity to work with Bill and participate in the By My Side manners course. 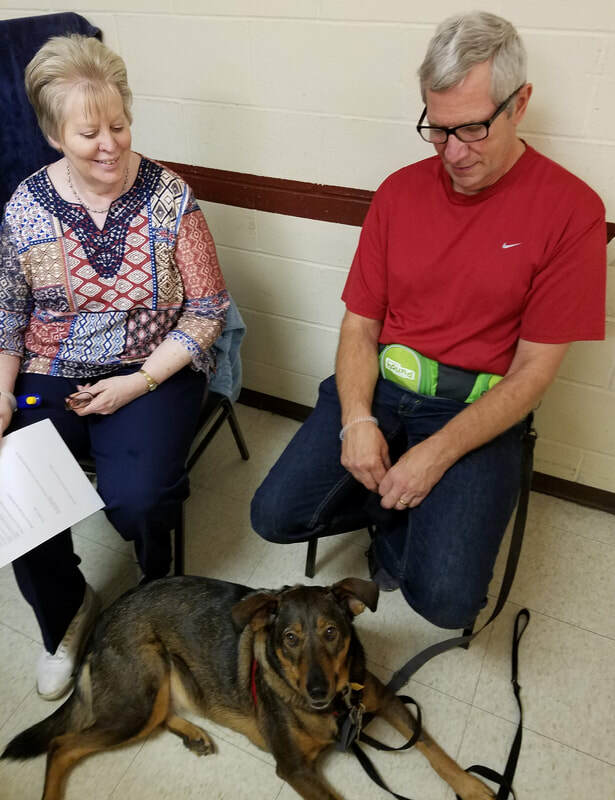 We all learned a lot form Bill's patient instruction and demonstrations, and we continue to go back to the videos and handouts that Bill provided. We also had plenty of time to practice in class and get helpful feedback as we learned new skills. 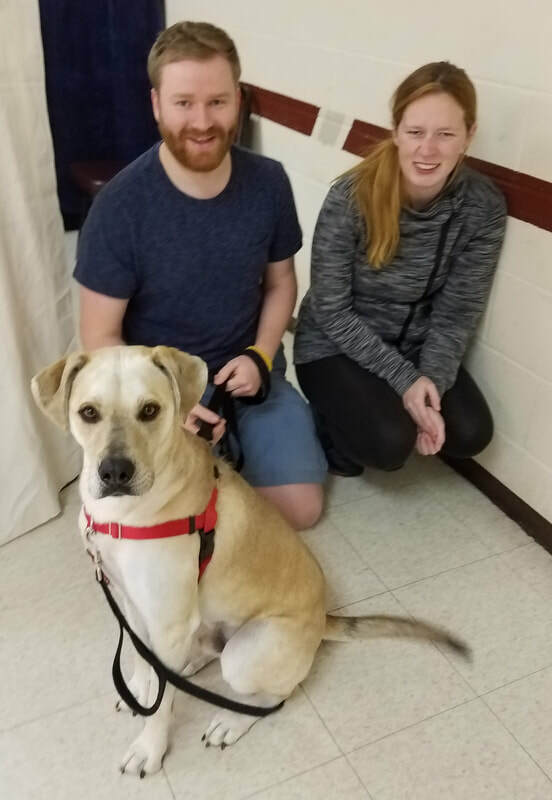 Most importantly, the By My Side force-free and kind approach brought us closer to our new dog Phoebe. 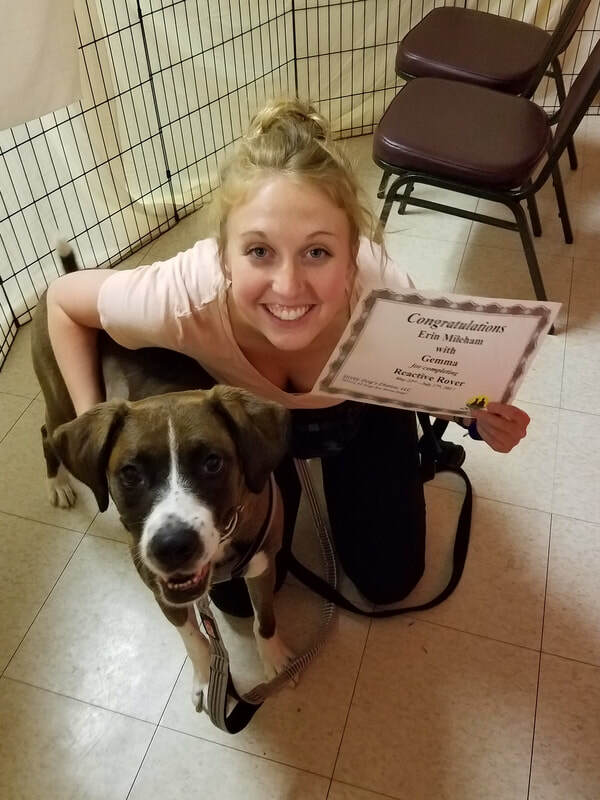 We would highly recommend the course to any new dog owner!" 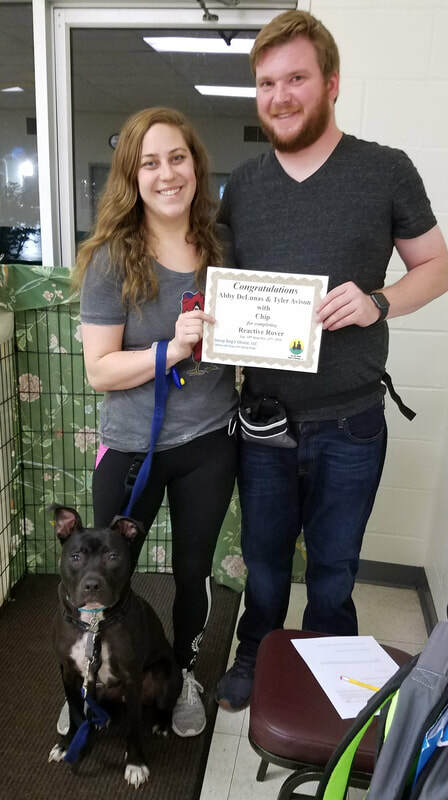 Client (Private Training) - Tyler and Megan M.
"Bill was very knowledgeable when it came to training our puppy. We have made a lot of progress in the three sessions we had. We would absolutely recommend Bill to any of our friends and family who are considering training. He took the time to understand our needs and what we wanted to gain out of training, and then helped us apply it. Cannot overstate how much we appreciate Bill and By My Side." 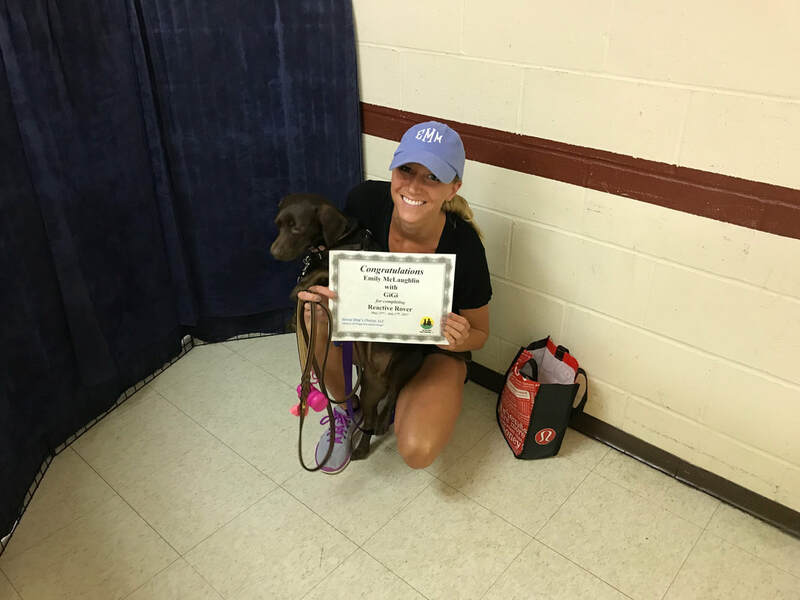 Client (Private Training) - Julie N.
"Bill was the right person to call to start our puppy training off in the right direction. 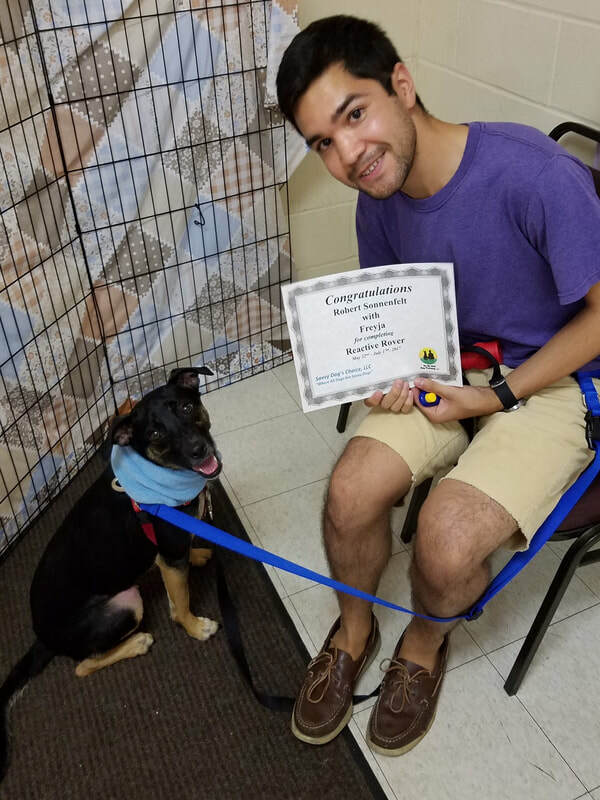 He's been so helpful in helping us manage her puppy energy around three young children, making it safe and enjoyable for everyone." 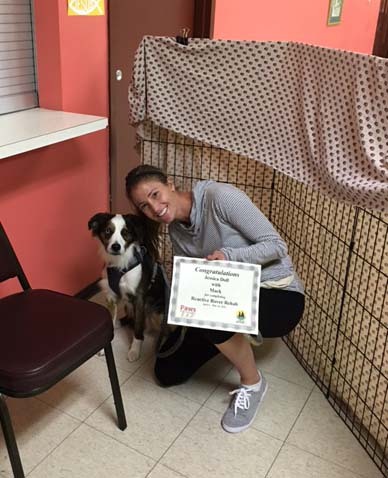 "Bill did an amazing job at training me (and my pup Tootsie) on improving her skills. 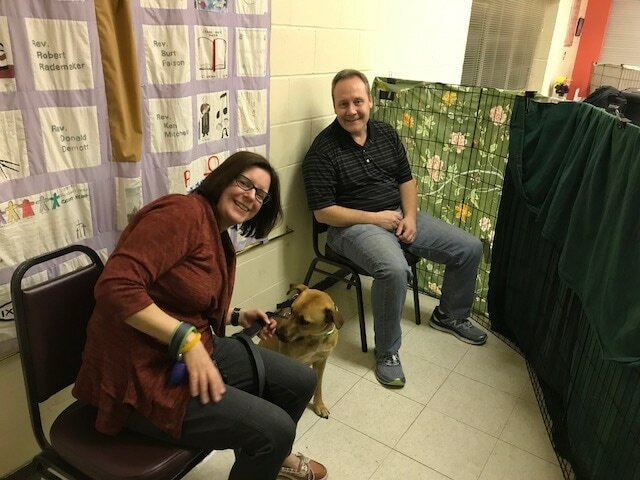 He focused on our needs, ensuring we were always using positive reinforcement and offered additional insights and tips to help Tootsie and our family. Bill would be my first call for any future training needs!" 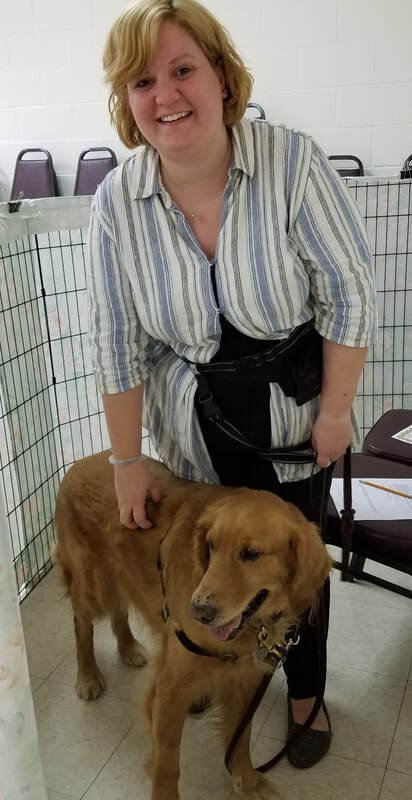 Client (Reactive Rover Rehab class) - Mari J. 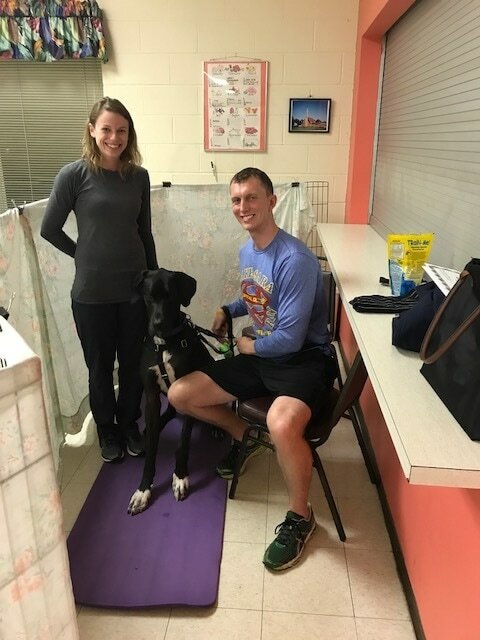 Client (Reactive Rover Rehab class) - Kristen H.
"Just wanted to let you know that we are really enjoying the class. 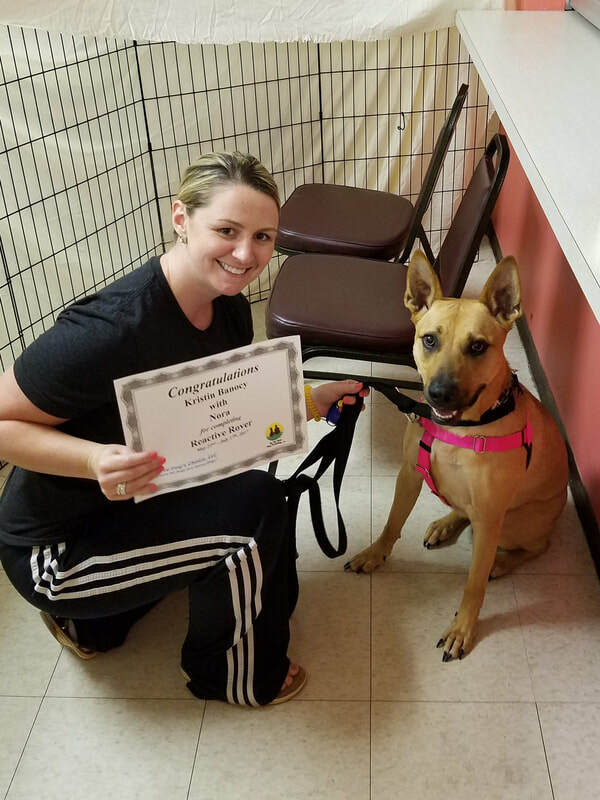 Sophie's grown tremendously with her management of the reactivity, and I can really see both of us improving our confidence and calmness." 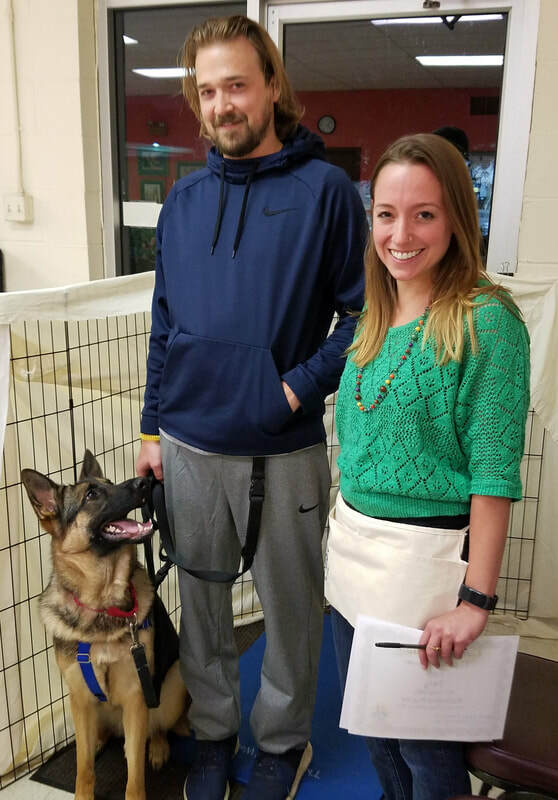 Client (Reactive Rover Rehab class) - Meg L.
"John, Dobby and I got a lot out of this class. 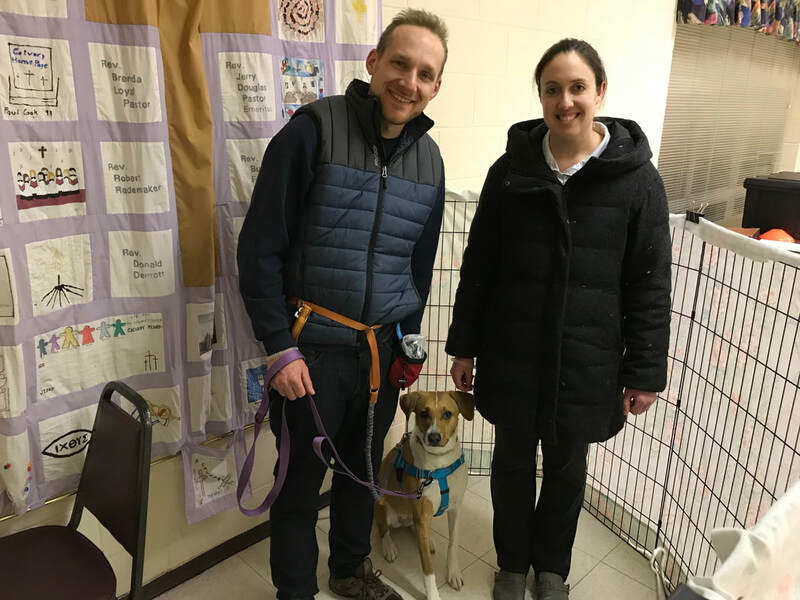 Mostly it helped us understand Dobby’s underlying fear issue and know that we needed to focus on making him less afraid so we can shape his behavior better." 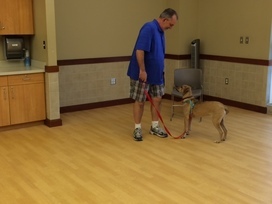 Client (Good Canine Manners) - Tom M.
"Thank you so much for the class, we learned a lot!" 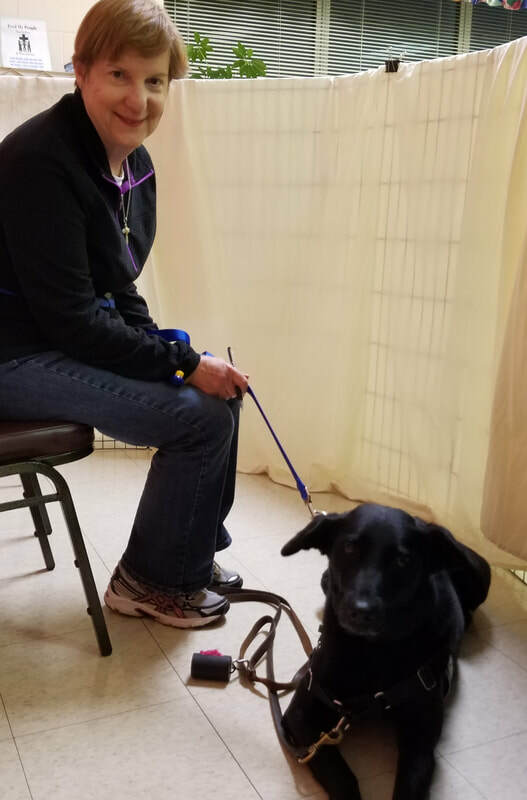 Client (Reactive Rover Rehab class) - Wendy W.
"Thank you for having such a great professionally run class. Your attention to protocols guaranteeing safety and your calm and positive manner was so very helpful. I have been working with my reactive Gamble for a year and a half, and this is the first time that I felt like I was with trainers who had a highly developed understanding of reactivity and a series of strategies to help with it. 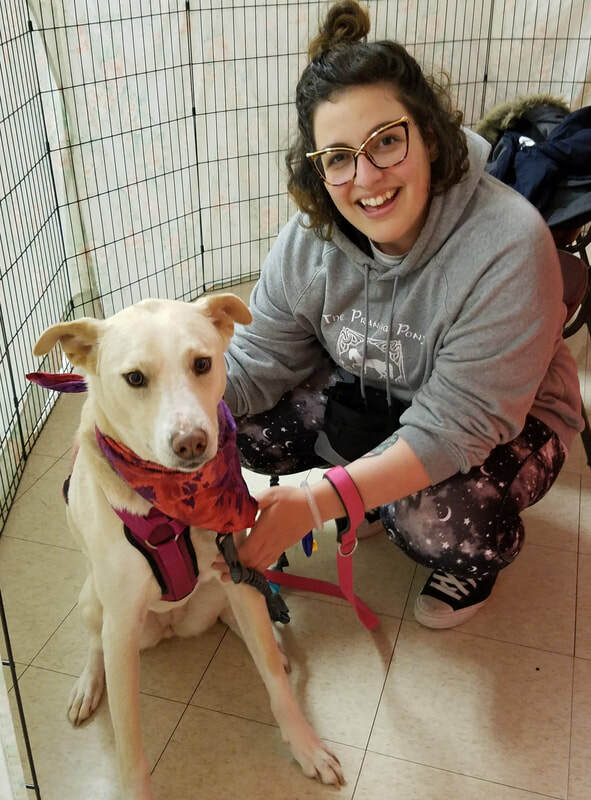 As I am sure you are aware having a reactive dog can be a real roller coaster – but I was able to leave class each week feeling like I had received new strategies and encouragement. Thank you so much." 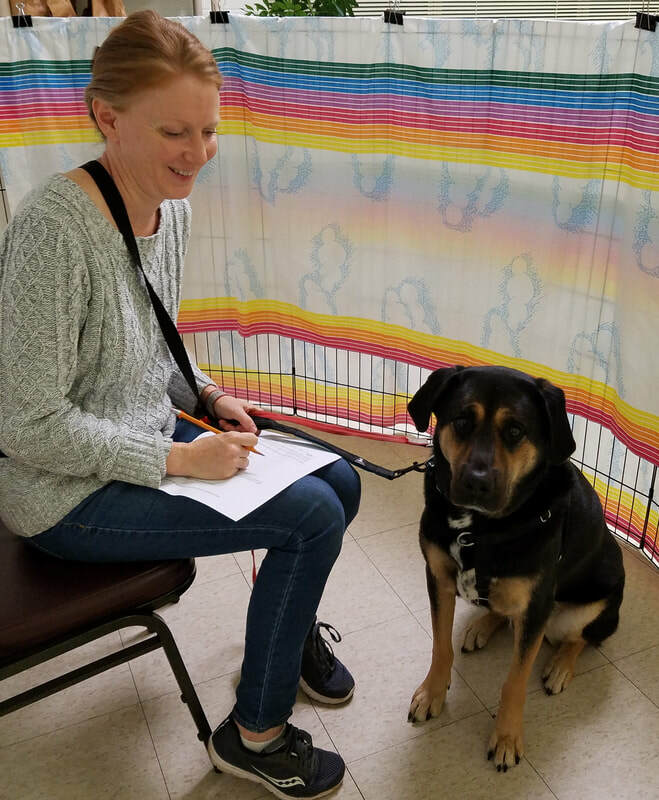 Client (Private Training) - Michelle S.
﻿﻿"Reactive Rover Rehab with Bill & Lisa equipped us with the tools to help recondition Sally to calm down & present desirable behaviors, such as sitting & giving us attention, rather than barking at triggers on our walks. 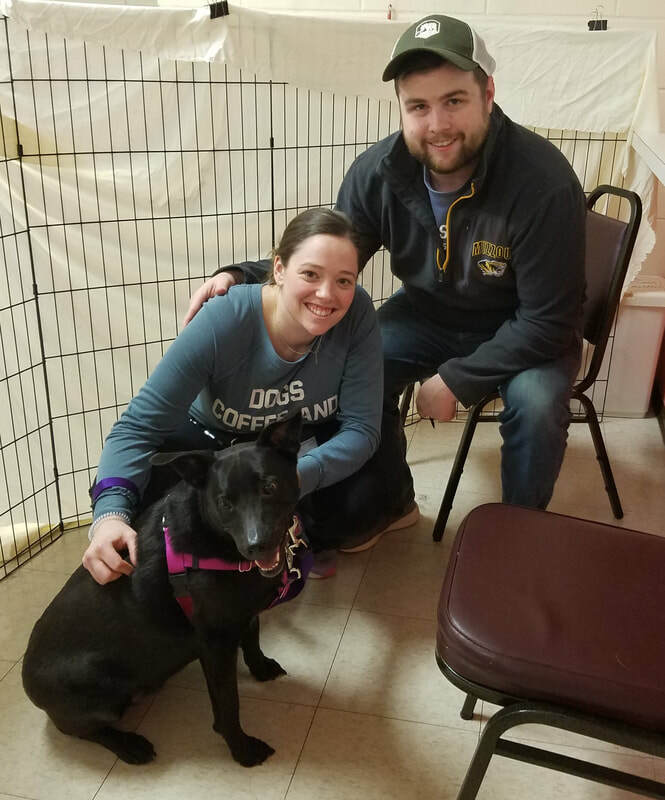 Her behavior has improved & so has our ability to work with her. The class offered plenty of practice opportunities for every level, & we took advantage of other activities in the homework packet as well. 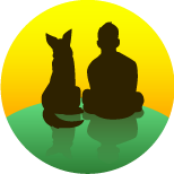 We highly recommend this class for anyone with a reactive dog!" 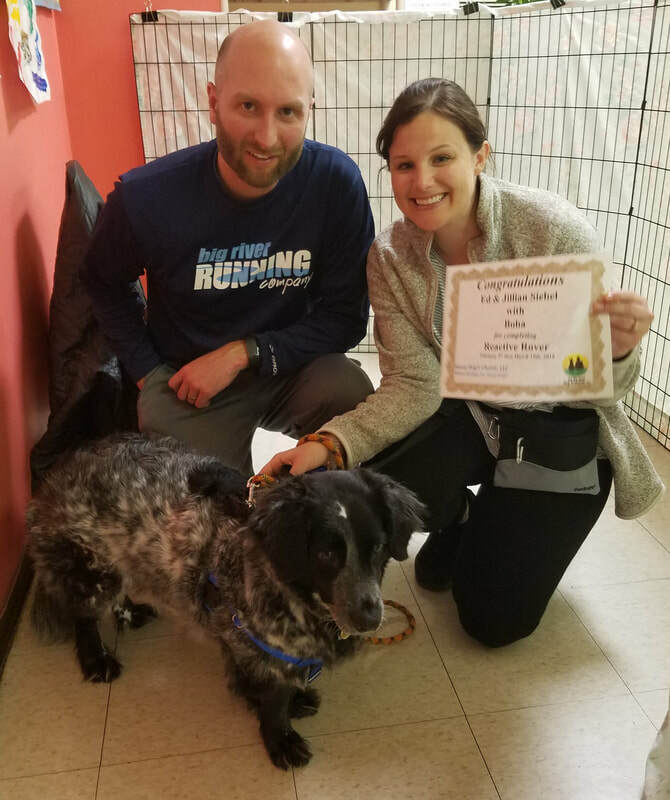 Client (Reactive Rover Rehab class) - Monica H.
"Doug and I are thrilled at the progress we and our dog, Cooper, have made as a result of attending the Reactive Rover Rehab class taught by Bill and Lisa. 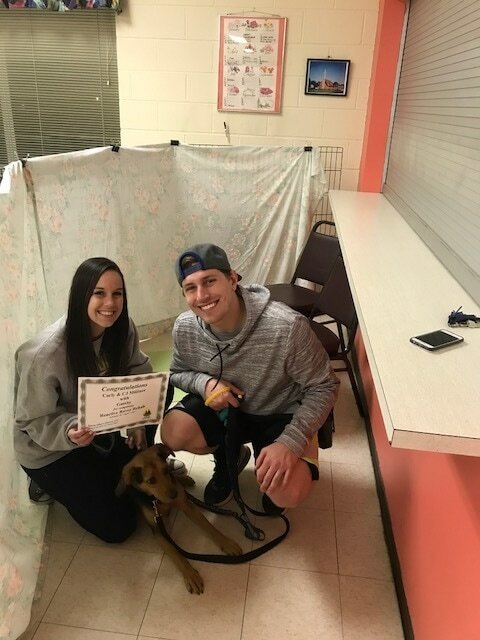 Fundamentally, the class gave us confidence in handling trigger situations and it taught Cooper to learn to associate something positive with those same situations. 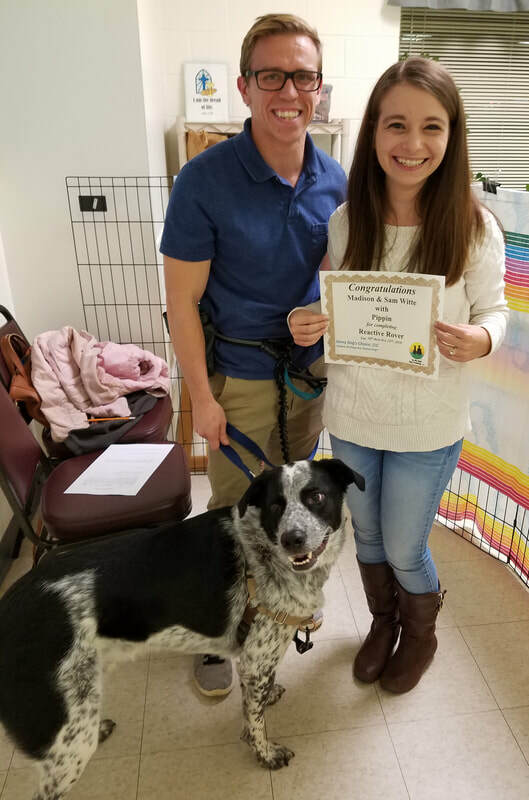 The class teaches a positive-reinforcement training method in a safe environment with controlled exposure to triggers. We were provided with a class syllabus or agenda prior to the first class. Classes always started on time. 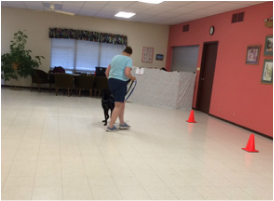 We enthusiastically recommend this class and we are definitely interested in a Rover Rehab 2 to keep us progressing!" 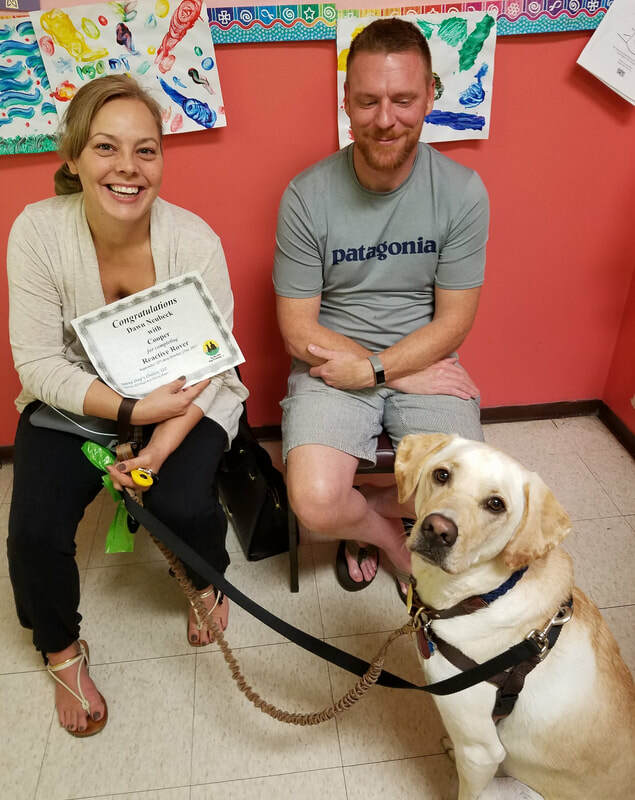 Client (Reactive Rover Rehab class) - Alana S.
"Reactive Rover Rehab gave us the tools to demonstrate how smart she is and to work on her triggers and learn how to manage her behaviors. I recommend learning how to use the clicker to train your dog! It's been a great tool to take home to our personal dogs as well." 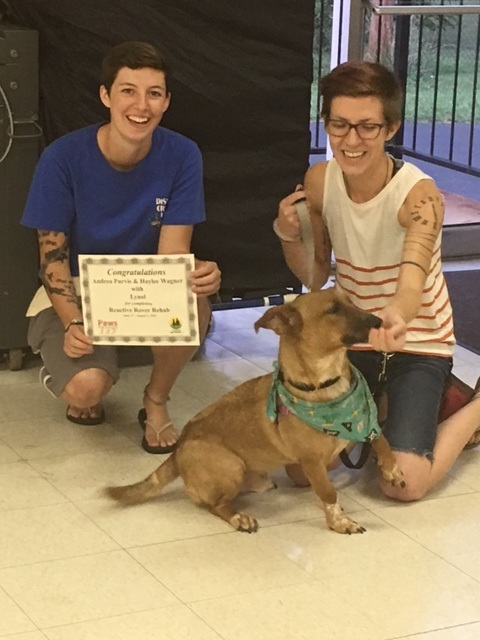 ​​Good Canine Manners students on the last night of class, Oct. 2016! 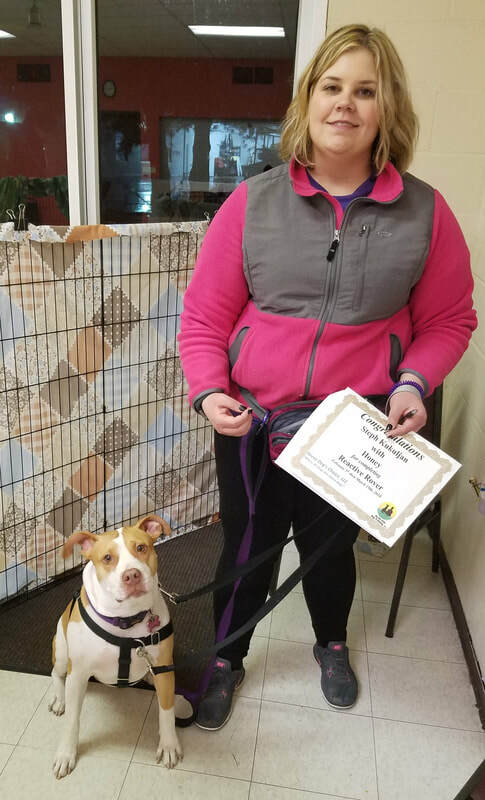 ​Good job Hailey and Mabel! 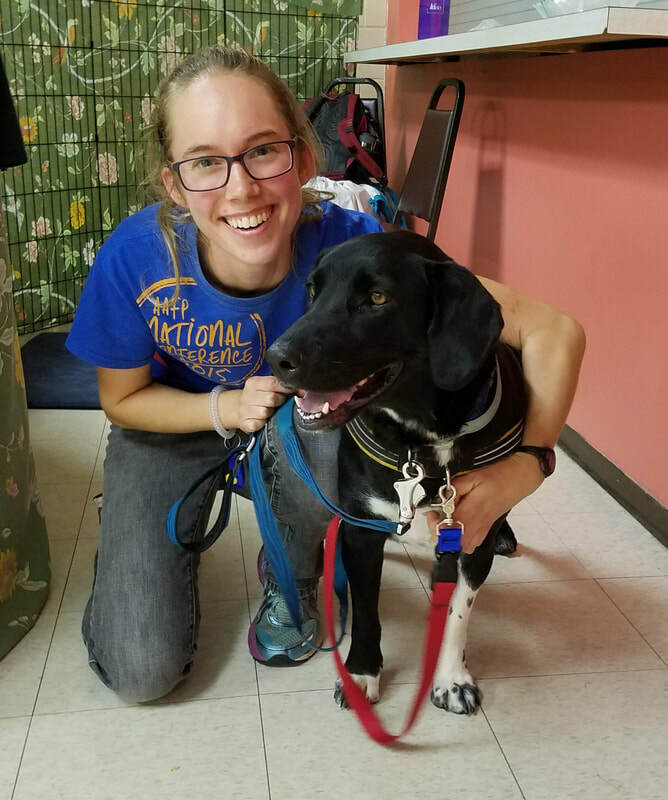 ​During Reactive Rover Rehab class, many dogs become able to perform cued behaviors, such as loose leash walking, while observing their triggers (other dogs and/or people). Every dog is an individual, and progress is dependent on many variables. In this short video, two teams are walking, one on each side of the barrier with "windows" created in the barrier for visual perception.